For Guitar. 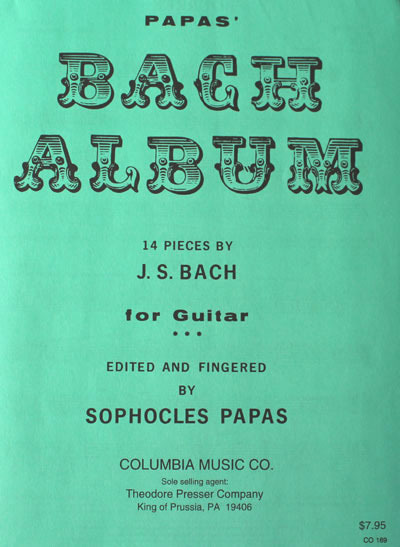 Edited and Fingered by Sophocles Papas. Contents: Bourree II, Andante, Minuet (from the Notebook for Anna Magdalena Bach), Minuet (from Violin Partita No. 3), Gavotte, Gavotte I, Gavotte II, Minuet, Minuet III, Minuet, Gavotte II (Musette), Prelude, Sarabande, Bourree (from Lute Suite No. 1).